Language is all about understanding the code. Each language has certain rules and patterns. While it can be tricky getting started, once you begin to recognized the way a language fits together--the word relationships--you are just one step closer to being a language master. This site is designed to help anyone understand the way English works through a simple system of labeling parts of speech and functions. I will also provide links to other excellent grammar sites so you can discover your full Codifying potential. Step 1: Learn the system: Click here! Based on a system that was researched and developed by Curriculum Research and Development Group from the University of Hawaii. (See here for more details). Tested at the University Laboratory School: http://manoa.hawaii.edu/crdg/university-laboratory-school/ and in my classroom. Step 2: Run through my Orientation Sentence. Begin to understand the process. See Practice: Infinitives for quite a few more practice sentences from a previous Verbal study I conducted. 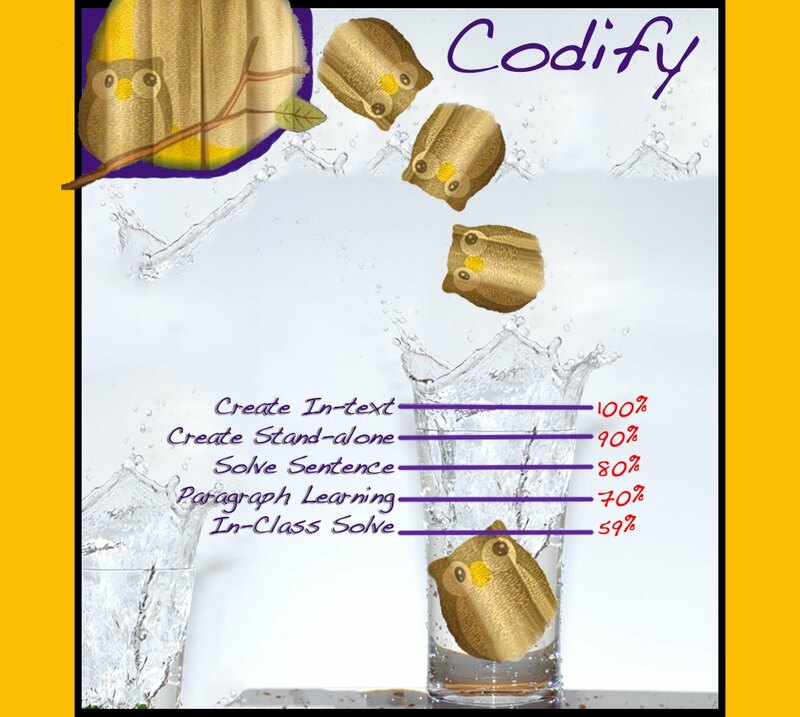 Step 3: Move through the Codify Tiering Program (see Details) in and out of class.